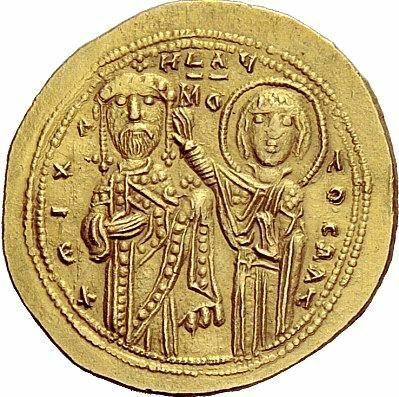 Michael VI reigned as Byzantine emperor from 1056 to 1057. Originally an elderly patrician and a member of the court bureaucracy who had served as military finance minister , Michael Bringas was chosen by the empress Theodora as her successor shortly before her death on August 31, 1056. Although Michael managed to survive a conspiracy organized by Theodosios, a nephew of the former emperor Constantine IX Monomachos, he was faced with the disaffection of the military aristocracy. His most costly error was to ignore the perceived rights of the general Nikephoros Bryennios, whom he restored to his former rank after his falling out with the Empress Theodora, but refused to restore his wealth and estates. Michael compounded his error by rebuffing Bryennios after he had already ordered the restored general to lead a division of 3,000 men to reinforce the army in Cappadocia. From here Bryennios began plotting to overthrow Michael VI, and it was his capture that precipitated the military nobility to rally around the general Isaac Komnenos, who was proclaimed emperor in Paphlagonia on 8 June 1057.
lthough Michael lost heart, the bureaucrats around him attempted to defend their position and assembled an army against the rebels. On 26 August 1057, the government's army was routed at the Battle of Petroe near Nicaea. Patriarch Michael Keroularios convinced Michael VI to abdicate in Isaac's favor on 31 August 1057.